June 27, 2011 -- Did you know that favorites in horse racing win about a third of the time? Since favorites win quite a bit you might be wondering if you can make money betting them on a regular basis. The answer is yes and no. You can make money betting on favorites but only if you are selective. Let's take a look at what that means. June 24, 2011 -- The biggest horse racing card of the season at Prairie Meadows is on Saturday, highlighted by three Grade 3 stakes races. Awesome Gem is favored in the $300,000 Cornhusker Handicap, Astrology is the horse betting favorite in the $250,000 Iowa Derby and Daisy Devine is the morning line choice in the $200,000 Iowa Oaks. June 20, 2011 -- Horse betting systems have been in use for many years as many people love to bet on horses. There are two main questions we need to answer about horse betting systems which are -- do they work, and which ones are the best? June 16, 2011 -- Champion filly Blind Luck is the off track betting favorite in the $250,000 Vanity Handicap at Hollywood Park on Saturday. The Jerry Hollendorfer trained 4-year-old has won 10 of her 19 lifetime starts for more than $2.6 million dollars. 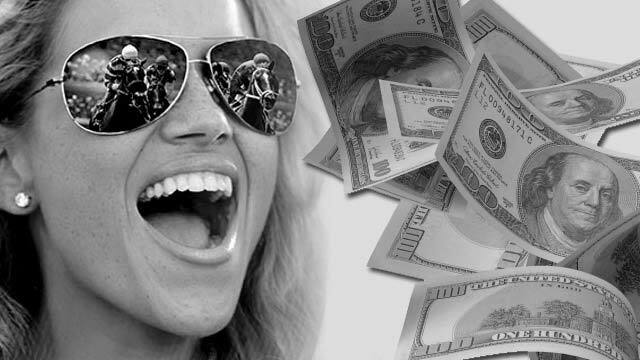 June 13, 2011 -- When it comes to making money at horse betting, there are countless systems that gamblers try. You have some that focus on trainer-jockey combinations while others look at things like class, pace or speed. The problem with horse betting systems is that none of them will work all of the time. What if there was a horse betting system that actually worked and didn't rely upon different factors to get you money? There is something that does that although it really isn't called a system. It is called a horse betting rebate. June 9, 2011 -- The biggest race in New York takes place on Saturday with the 143rd running of the Belmont Stakes. Even though no Triple Crown will be on the line, there is some excitement for this year's race with Kentucky Derby winner Animal Kingdom and Preakness winner Shackleford both in the race. A field of 12 will be going a mile and a half with post time at approximately 6:35 pm Eastern. June 8, 2011 -- The 143rd running of the Belmont Stakes is on Saturday with Kentucky Derby winner Animal Kingdom the 2-1 morning line horse betting favorite in a field of 12. There will be no Triple Crown winner again this year but at least this year's Belmont does have the appeal of a rematch between Kentucky Derby winner Animal Kingdom and Preakness winner Shackleford. It is also a historic Belmont as for the first time ever, the top seven finishers in the Kentucky Derby will also race in the Belmont. June 2, 2011 -- The 143rd running of the Belmont Stakes on Saturday, June 11 is expected to have either 11 or 12 starters. It is looking like the two feature horses will be Kentucky Derby winner Animal Kingdom and Preakness winner Shackleford. It is also possible that some history will be made as the first seven finishers in the Kentucky Derby are all possible starters in the Belmont. May 20, 2011 -- The 136th running of the Preakness Stakes takes place on Saturday afternoon at the Pimlico Race Course in Baltimore, Maryland with a full field of 14 horses. Kentucky Derby winner Animal Kingdom is the 2-1 favorite with beaten Derby favorite Dialed In the second choice at 9-2 in off track betting. Here is a look at each of the 14 horses. May 17, 2011 -- I have been betting the ponies since I was 11 years old and from that time, one of the main things I've heard from the many handicappers at numerous racetracks and off track betting places that I have been, is that "pace makes the race." The 136th running of The Preakness Stakes could end up being a perfect example of that old adage.